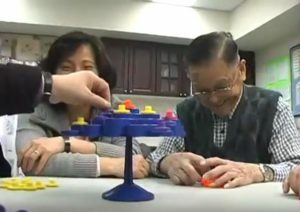 The Yee Hong Training and Learning Centre strives to empower seniors, family caregivers, professional care providers and students with knowledge, skills and wellness support through educational activities, programs and workshops. To date, the Yee Hong Training and Learning Centre has partnered with the Factor-Inwentash Faculty of Social Work from the University of Toronto and the Centre for Learning and Change in Canada and Hong Kong in providing educational activities such as: social effectiveness training for managers and staff, play intervention for dementia, study tours, social work and social service work student placements and cultural sensitivity and inclusion training. The Yee Hong Training and Learning Centre has also offered training in Canada and overseas, such as the University of Hong Kong, Hong Kong Baptist University, Hong Kong Institute of Vocational Education and Hong Kong Polytechnic University.